BBM for Android and BBM for iOS are coming later than we expected, but at least they're still coming, according to BlackBerry. BlackBerry Chief Marketing Officer Frank Boulben told Reuters that the BlackBerry Messenger apps for iOS and Android will launch "within days." The BBM app was supposed to make the jump off of BlackBerry and onto other platforms by the end of summer, and a launch was expected toward the end of September. It suffered delays after an unofficial Android version was leaked, but Boulben said the issues that caused it have been fixed. Lately BlackBerry's had its lips sealed when it comes to BBM for iOS and Android, but Boulben's willingness to open up a little could mean that it really is almost here. His hint came after BlackBerry published a letter on social media and in 30 newspapers around the world assuring customers, "You can continue to count on us." In the letter BlackBerry called BlackBerry Messenger a "best in class mobile social network." "There are already around six million customers pre-registered to be notified of our roll out," the letter said. "This number is growing every day, and speaks to the tremendous opportunity we have to expand BBM beyond BlackBerry smartphones to make it the world's largest mobile social network." 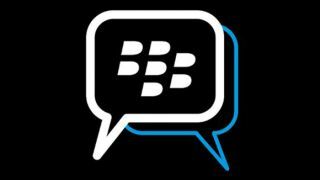 Last we heard, the Android and iOS BBM app is expected to initially feature messaging and groups, with voice, screen share, video, and other features being added in later updates. It's unknown whether that's still the case, but it sounds like we'll find out soon. TechRadar lays out the 11 moments that defined BlackBerry's rise and fall, and believe it or not it's not all about the keyboard.